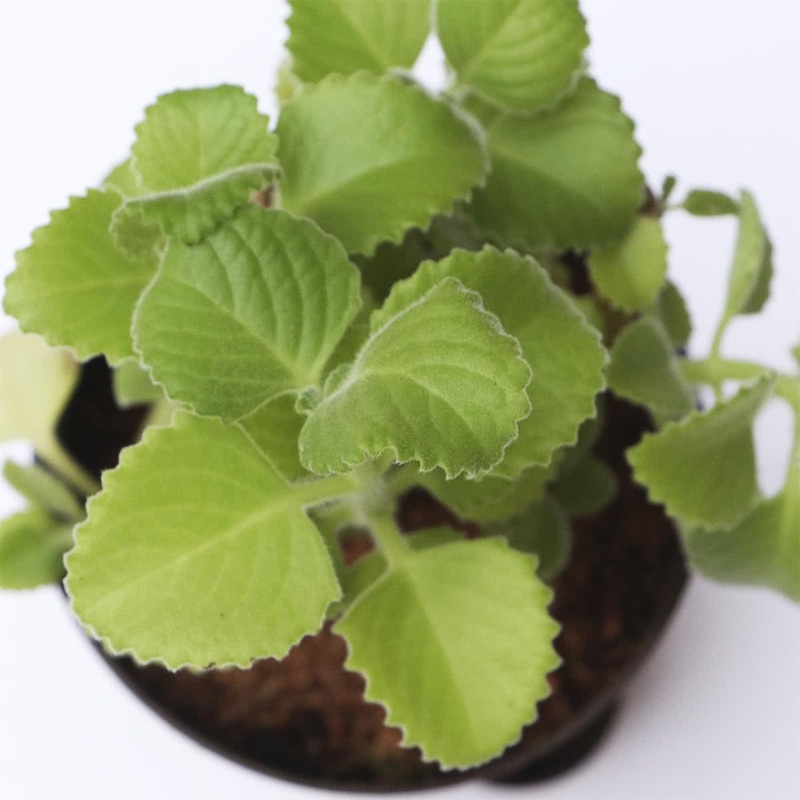 Plant Description: Owa / Ajwain is often called Coarse Leaf Thyme. This beautiful and fragrant has multiple medicinal properties and can be grown in the garden, the kitchen, or medicine cabinet. The best part about Owa is that it is strong; and will compliment your herb garden perfectly. Growth Habit: Perennial, Erect herb. Growth Rate: Fast growing plant. Average Landscape Size: Height 1-2 feet. Pot Size: 8 to 12 inch. 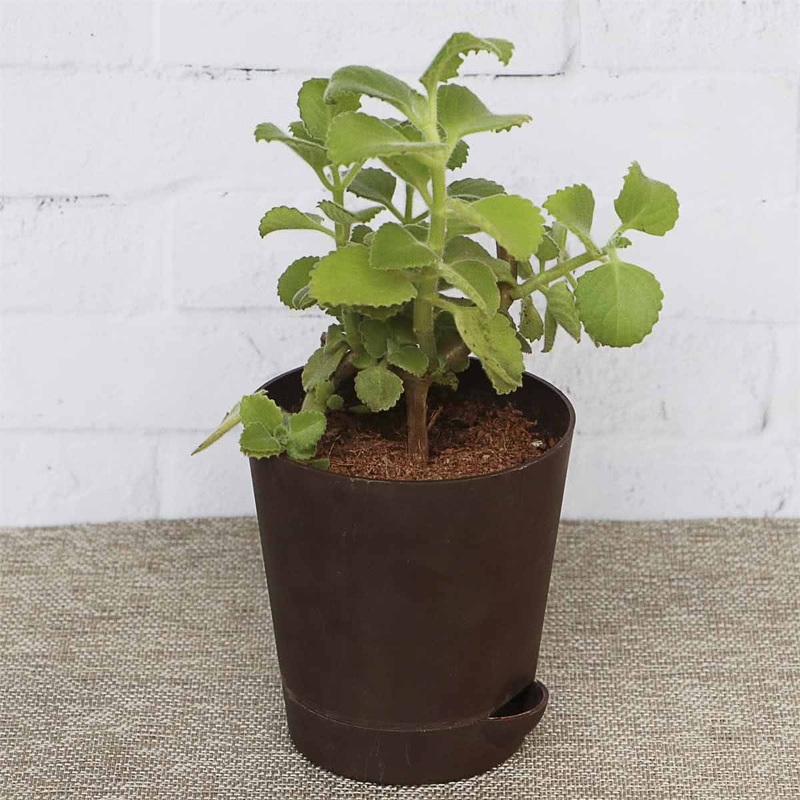 Potting/Transplanting: The container selected must have proper drainage holes. To prevent water logging, cover the drainage holes with broken pieces of earthen pots or brick pieces before putting the soil. Transplant the Coleus sapling in a pot along with root-ball of original soil. Carefully place the plant in the middle of the pot & cover the roots completely with remaining soil. 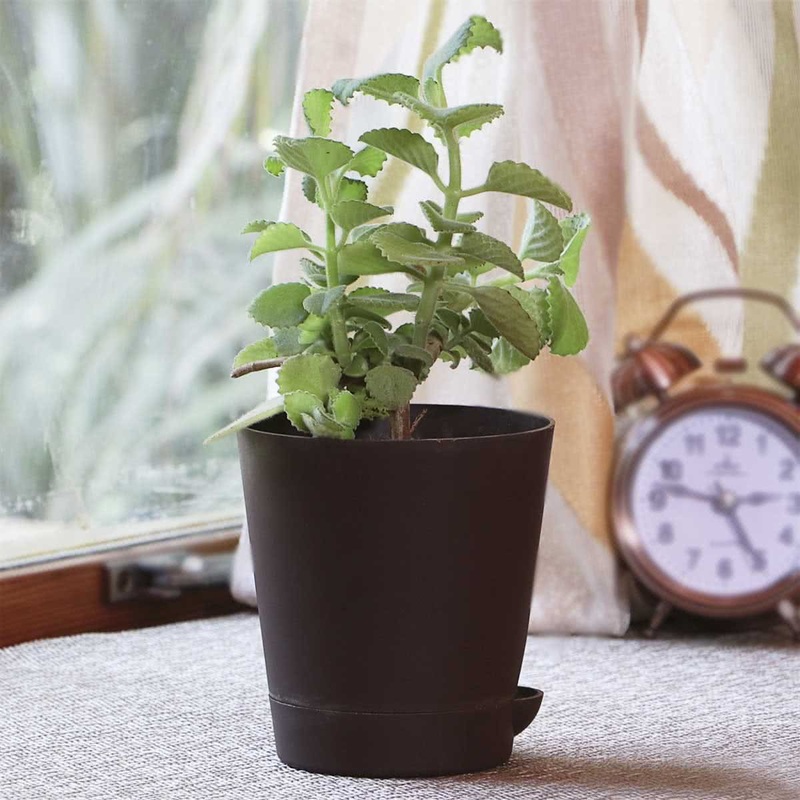 Repotting: Change the pot or potting soil every year. Sunlight: Owa grows well in full sun or part shade. Water: Keep soil moderately moist by watering twice-thrice a week. Fertiliser: Fertilise every two weeks with an all-purpose fertiliser for best growth. Temperature: Recommended temperature range for Owa is between 25-35 degree Celsius. Tolerant to high temperatures. Humidity: Owa prefers high humidity. Pruning: Keep pinching the growing tips of the herb for household use, this will encourage bushy growth. Propagation: Softwood cuttings, tip cuttings, seed sowing. Companion Plants: Lemongrass, Rosemary, Citronella, Sage, Thyme.